Thank you so much for visiting our website! We are so grateful for everyone's faithful and generous support. As we do not receive funding from provincial or federal governments for our programs and services, we are dependent on the generosity of prayer, time and donations from like-minded individuals and businesses. Anything that you would be willing to contribute will help us make a difference in the lives of those who are hungry, hurting and homeless in North Bay. If you have any questions, please feel free to Contact Us. We'd be happy to answer any questions that you might have. ​At Hope Awaits Ministries we believe that prayer is the most vital and important part of our ministry. Prayer is such a powerful weapon that God has equipped us with and that is why we are always looking for people to commit to faithfully praying for our ministry and the people who will be using our services. Click here to find out more about our weekly prayer meetings, or to join our prayer team. We are so grateful for everyone's faithful and generous support. As we do not receive funding from provincial or federal governments for our programs and services, we are dependent on the generosity of like-minded individuals and businesses. Please consider making a donation that will help us make a difference in the lives of those who are hungry, hurting and homeless in North Bay. Please click here for more information. Hope Awaits relies on both monetary and physical donations in order to meet the needs of our clients. 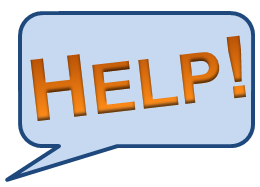 If you would like to help us by donating practical items, please visit our current and urgent needs page here to see a list of what items we are currently most in need of. Help us provide our clients with fresh fruits, vegetables, and other perishable foods on a regular basis! We are asking for individuals, churches, groups, or organizations to partner with us by donating a week’s worth of perishable food items. For more information click here. Our goal at Hope Awaits is to help men get back on their feet. We want to take them from the state of homelessness and move them through our program in order to re-integrate them into society - a part of which includes getting them their own apartment. These apartment starter kits will help get them set up in their own place. For more information click here. At Hope Awaits Ministries we recognize the importance of local churches and community groups. We need the community's support in order to provide for the homeless in North Bay. 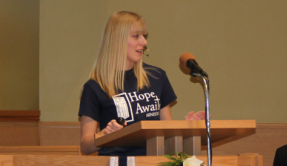 To learn more about Hope Awaits Ministries host a presentation at your church or community group meeting click here.